Coming 32 years after their break up, Worcester, MA's Prefab Messiahs are back with a new album, Keep Your Stupid Dreams Alive. Reunion albums are usually pretty dubious, especially when a band hasn't released one in three decades. In the wake of a universally loved 30th anniversary tour, the band decided to give it another go in the studio. 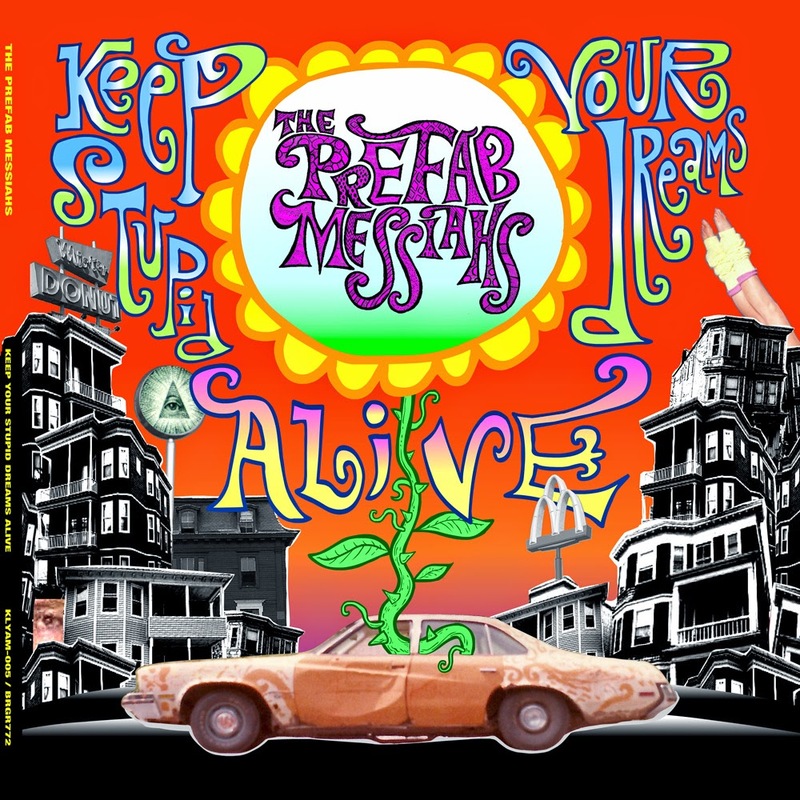 The Prefab Messiahs have this great unique sound, a blend of garage rock, psychedelic, and punk. They might be the only band to equally mix psychedelic and punk since the early days of The Stooges. "Weirdoz Everywhere" is a standout track, with it's power pop chorus and guitars over a surf rock base. "College Radio" is an homage to how college stations are eager to give younger bands a chance. I think that's one thing that works about this new album. It's almost a concept album about not giving up on your hopes and dreams, no matter how ridiculous they may sound. Most people don't reform their bands from their youth to give it another go. Keep Your Stupid Dreams Alive is the most fitting title for an album ever. If the results are as great as this album is, maybe we should all listen. Keep Your Stupid Dreams Alive is out now on Burger Records and KYLAM Records. You can order it off Bandcamp. If you happen to be outside of Boston, they're playing at Ralph's Diner in Worcester on March 20, and March 21 at Modern Gypsy in Manchester, NH.